Where are you going to invest your hard-earned money? It's a decision every one of us has to make, unless you're one of the few who were fortunate enough to inherit wealth in some way. The vast majority of us must earn money through diligent service of one kind or another, and for each person that considers placing some of their savings into an investment, decisions are not always clear. Crypto has been receiving a lot of attention lately - even in the mainstream press - regarding investment returns that can range into the thousands of percent. But make no mistake - crypto is also regarded as high risk. When you purchase a crypto-currency with your fiat money, you are now embarking on what most personal financial planners would warn you about; an investment that has a potential of a high reward, combined with a potential of high risk of loss. Analysts are fond of analytical tools that use formulas to calculate supply & demand, price resistance, trade patterns, and other indices; but what is missing from each of these techniques? They don't consider other important aspects to an investment choice - intangible properties that are difficult to quantify, like leadership and news reports. This missing piece is the reason for popularity of online forums where these topics are actively discussed. People are gathering and sharing knowledge with each other in hopes of researching which of these choices has the most potential for a "unicorn investment" - an investment that might return initial capital at phenomenal rates that exceed even 1,000 %. So where in crypto is the smart money looking? 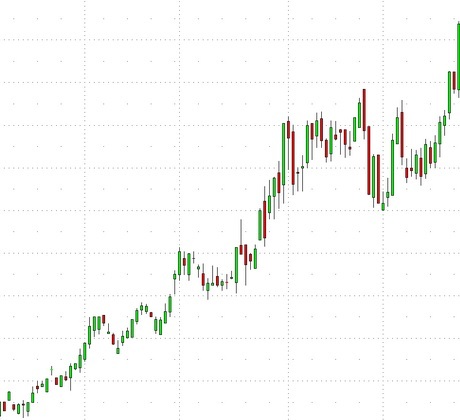 Each of these occurrences is like an early warning sign for a volcanic eruption in the market. Some might be looking at a variety of crypto investment options, but I know where I've invested my hard-earned money: XRP. Following, I share the top five reasons for this choice. This isn't just a cliché nod to the employees of Ripple; it is a humble acknowledgement of their enormous contributions and of the key difference between XRP and all of the other crypto choices. Yes, developers and creators of other crypto-currencies are very impressive as well; my comment is not meant to detract whatsoever from others' varied accomplishments and significant contributions to the crypto space. Rather, it's something for investors to consider among a variety of very strong factors when attempting to discern the future in this complex landscape that intersects between code, politics, traditional banks and new democratized finance. The core team that created Ripple is larger than life; yet in my opinion, each of them acts very real, without regards for their newfound fame in crypto. Books will be written about their accomplishments at some point, and my guess is that some classroom textbooks are already making room for a description of their contributions. Some of these lauded individuals have moved on to other endeavors in one form or another; but their creation has endured with Ripple and XRP. 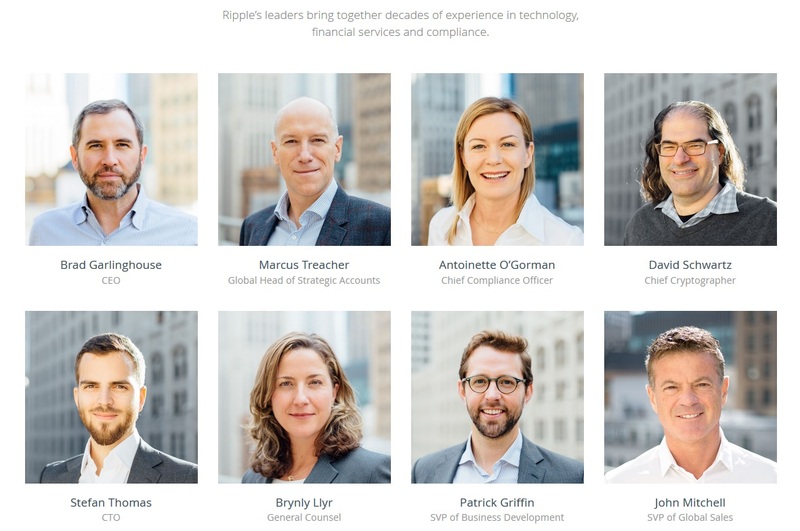 Ripple leadership has expanded to include titans of marketing, communications, international commerce, politics and technology; their influence extends to the loftiest corridors of the global payments hierarchy. And the second wave of Ripple contributors is now here as the company rapidly expands. Ripple is noted for having a high proportion of technical experts, architects, cryptographers, and developers.2 The company originated as a start-up near the headquarters of Silicon Valley on the West Coast of the United States, arguably the capital of high-tech innovation. Their team is expanding now into China, Singapore and India as they outgrow their start-up roots; Ripple is making a methodical transition into a technological giant. The main risk to the organization is overly-quick expansion, but they have many other examples in high-tech to draw upon to mitigate this risk. In the Q&A session after the Seoul, South Korea XRP Meetup, Warren Paul Anderson stated that blockchains can choose two out of three architectural pillars3: Security, Scalability, or Decentralization. They can't have all three out of the starting gate. He explained that Ripple had emphasized security and scalability over decentralization, on the way to explaining XRP's decentralization plain in greater depth. When crypto-currencies talk about speed, what they're talking about is how long it takes for a transaction to settle. For proof of work crypto-currency networks, the settlement happens as the probability of transaction reversal nears zero. Scalability is a topic that is critically important for a payments system that must support transactions on a global scale. If you're new to crypto, there are two separate categories of scalability: on-chain and off-chain. On-chain refers to transactions directly on the crypto ledger, whether it be Bitcoin's network, Ethereum, or the XRP Ledger. Off-chain or "off-ledger" refers to transactions that occur outside the ledger, that are then summarized as one transaction and communicated to the native ledger at a later time. While all three crypto-currencies boast phenomenal off-chain speeds, keep in mind that most of these solutions are horizontally scaled - i.e., as more computing power is added, the transactions per second tends to increase in direct proportion. While some point to these off-chain speeds as evidence that Bitcoin or Ethereum is capable of handling global transaction levels, the native network speed continues to remain important, serving as an ultimate back-stop for throughput of each system; so far, neither can approach the speed of the XRP Ledger. Ripple's primary customers are the banks and other organizations that will use XRP to lower their payment processing costs. Any discussion of bank adoption needs to mention the tour de force by Ripple known as the SWELL Conference. The planning and execution of the SWELL conference is something I'll never forget. Ripple made it look easy, but I've got to believe that the organizing of this rival to SIBOS was a supremely taxing and challenging task. The guest list and collection of keynote speakers was enough to draw attention completely away from the legacy technology being slowly reformed by SWIFT at SIBOS; more importantly, it solidified Ripple's name as the premier alternative to an archaic, aging system of money transfer. Ripple's conference in October was very high-profile, and they started SWELL out with a major announcement - Ripple had secretly been working with the Bill and Melinda Gates Foundation, building an application called Mojaloop.9 The result of this collaboration is a new open-source software for creating a real-time, interoperable payments platform on a national scale to reach the world’s poor with essential financial tools. 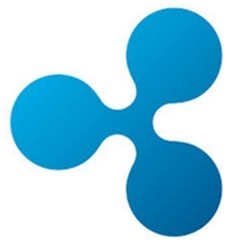 This announcement was purposefully timed by Ripple to coincide with the Sunday before the official beginning of the conference. SWELL accomplished multiple objectives for Ripple, one of which was providing a venue for interacting and talking with banks that were not already on Ripple's client list. Add to that the fact that many of their previous and existing clients were all too eager to be involved in panel discussions and be recognized as one of the industry-leading banks implementing and using Ripple technology. When I first learned that Ripple had done a proof of concept with the Bank of England, I reacted with complete fascination; a central bank? To my knowledge, before Ripple, no central bank had ever worked with a fintech firm that was also the creator of a digital asset like XRP. It was ground-breaking, and understandably made headlines across the fintech landscape. "Let me now turn to a second possible avenue for DLT application to be used as a means of payment: Central banks could offer their own digital currencies.... Such a CBDC would be exchanged at par with the central bank’s other liabilities (its cash and reserves)—either through banks or directly at the central bank." 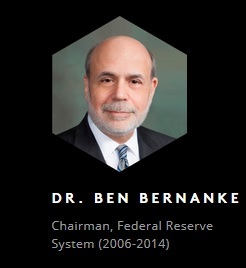 While he was referring to digital currencies created and issued by a bank (CBDC stands for "Central Bank Digital Currency"), keep in mind that Ripple's Interledger Protocol was created based on the assumption that central banks, correspondence banks and others in the international payments system would prefer to keep their own ledgers intact and interoperate with others using a standardized payment mechanism. It looks like Ripple planned ahead with ILP (the Interledger Protocol)! The last issue concerns the choice of technology used to support the CBDC. The form and broad design of the CBDC eco-system will eventually reflect the development and maturing of fintech technologies. These technological and organizational choices raise several questions, such as: can the chosen technology be made secure, and can speed be maintained? What does it imply as to who bears the costs of operating, maintaining, and developing the digital currency? This last part is the section of his presentation that sparked my imagination! It seemed to be a purposeful acknowledgement of the fintech companies most well-positioned to provide real-time domestic and cross-border payments, and Ripple is clearly the leader of the pack! 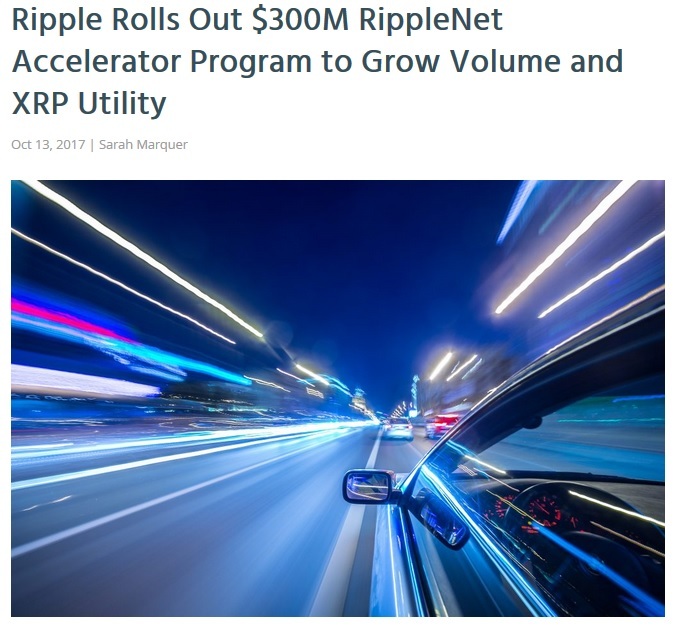 "This rebate — available in XRP or USD — is designed to accelerate adoption and usage of Ripple solutions. Selling restrictions will apply to customers that elect to receive their rebate in XRP ..."
Ripple indicated that the program is modeled after an adoption program that PayPal pioneered during its early phases, and that the response to an early pilot has been "very positive." 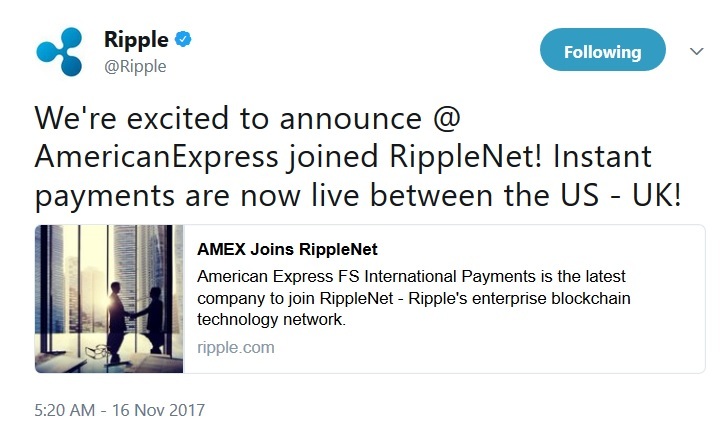 In case you missed it, American Express signed with Ripple.13 The first corridor that American Express is targeting with Ripple will be between the United States and the United Kingdom. This deal is very high-profile like Ripple's other deals; the US is the UK's largest trading partner, and it should result in a high degree of volume flowing through RippleNet. The announcement of the American Express deal happened on Thursday, November sixteenth, and follows other high profile announcements such as Credit Agricole, Airwallex, Cuallix, and others. The fact that Ripple is the first company to pioneer production use of a crypto-currency to transfer value for mainstream financial companies is astounding enough to impress most in the crypto market space. But add to this something that crypto investors should keep in mind; Ripple's model for xRapid liquidity includes sourcing it at the point of crypto exchanges. The point to keep in mind is that liquidity for xRapid has the potential of going through the exchanges for the "fiat-to-xrp" legs of the settlement journey. While this happens instantaneously, it will be transferring the demand created by Ripple's business partners directly to exchanges where XRP is bought and sold. For those crypto traders already in the space, I don't have to draw a picture of what effect this could have on XRP price as xRapid is adopted; 2018 promises to be a very exciting year for XRP price appreciation. International payments and cross-border value transfer, combined with markets for ForEx trading, involve numbers that are too large for the human mind to comprehend. Quadrillions of dollars move across borders every year, and if we only look at the amounts that SWIFT is responsible for, you must keep in mind that this is an antiquated system where the velocity of money is severely restricted by an archaic system. 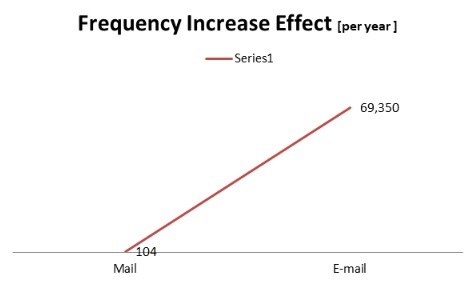 While this is a large number, there is a scientifically-studied social phenomenon that has been documented regarding technological innovation of communication and transactions: As technology takes an existing transaction and lowers the cost to near-zero, and the time of the transaction to near-instant, a massive increase in the number of transactions occurs. If we take this lesson and think about what aspects of this phenomenon apply to payments, the possibilities are intriguing. I'm not making the claim that the same rate of increase will apply to international payments after adoption of Ripple technology, but I am making the claim that there will be a substantial and measurable increase in the velocity of money, and it's highly likely that a similar effect will occur with regards to the number of transactions, as Ripple technology takes the existing system of money transfer and reduces the cost to near-zero, and the processing time to near-instant. The conclusion is that we can take the current international payment volume levels and multiply by a factor to arrive at the true size of this market. What is that factor? Double? Triple? I won't postulate what that multiple is here, but suffice it to say that the result is that the entire world economy might be supercharged by the adoption of technology that speeds payments. 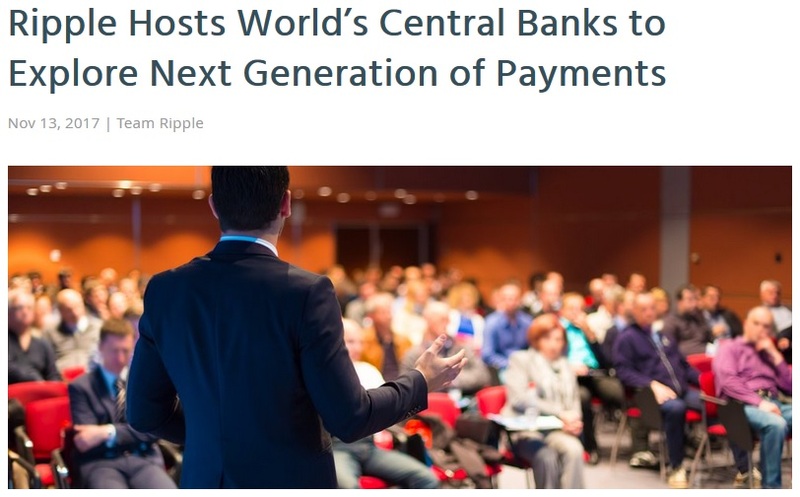 Ripple is Focused on Connecting Banks, not Creating More "Banking Islands"
Investing in XRP is something that will benefit investors personally, but it's also worth considering that a true global payments network has the potential to accelerate the velocity of money and capital to new highs, thereby supercharging the global economy to higher levels - levels that have the potential to support a better life with more opportunities... for everybody. While XRP is clearly an innovative digital currency, the complete package is the technology behind Ripple's instant payments. This technology has the potential to transform entire economies.